I devised this for some students who are rock musicians. 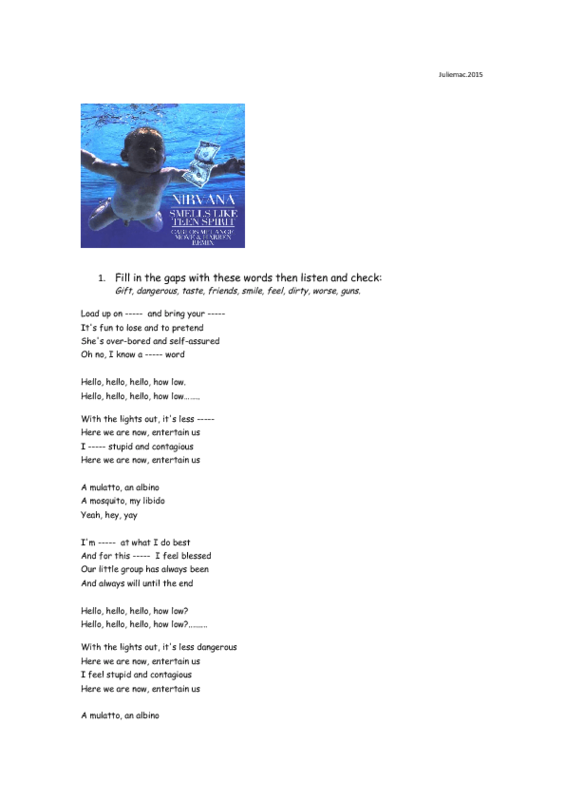 It can facilitate some interesting discussion as the meaning is not entirely clear and the fact that the singer apparently committed suicide though the appropriateness of this subject would have to be carefully considered. 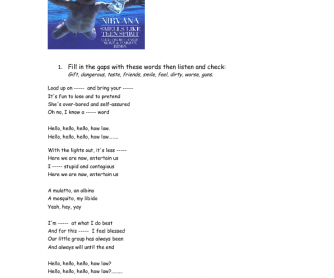 The tasks are gap filling, finishing sentences (also designed to encourage discussion) and some opposites related to the vocabulary in the song.